7-inch high resolution 1920 x 1200 monitor and touchscreen with a wide 135º viewing angle. The display is also a touchscreen so you can use simple tap and swipe gestures to display camera information, change settings and evaluate audio and video levels. 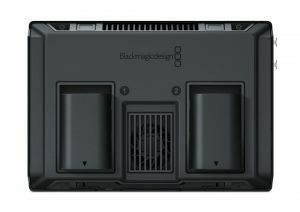 Blackmagic Video Assist 4K features two standard LP-E6 battery slots that allow hot-swapping of batteries while in use, and it can be powered using the 12V DC input. The batteries are discharged serially, so only 1 is used at a time. When there’s power, the batteries are charged in parallel, which saves time when recharging. • 7 inch LCD touch screen with 1920 x 1200 high-resolution monitor. 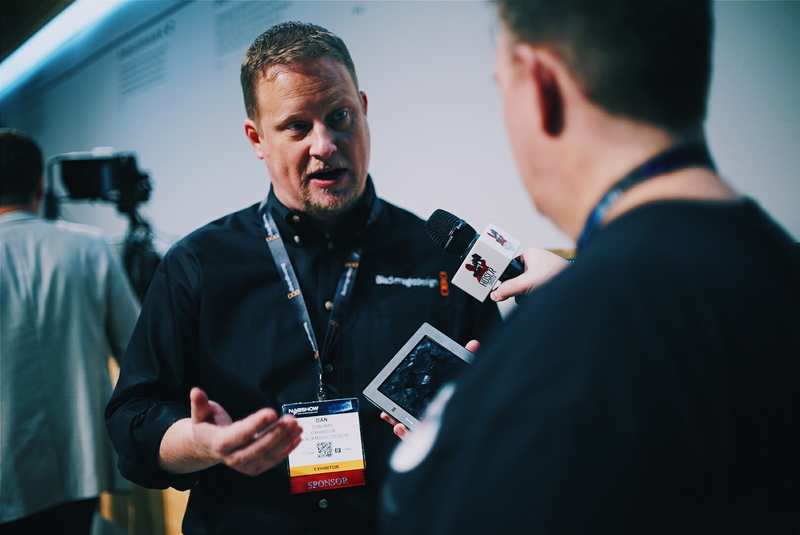 • Professional 10-bit 4:2:2 HD ProRes or DNxHD recording. • Dual high-speed UHS-II SDHC card recorders use readily available, inexpensive SD card media. 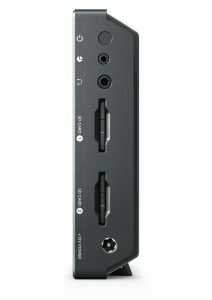 • Dual recorders allow non-stop recording and provide a backup if one fails. • 2 mini XLR connectors with 48V phantom power for connecting microphones. • -128dBV electrical noise floor for high-quality audio recording. • LANC connection for remote control. 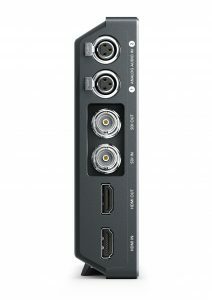 • Auto start/stop recording using HDMI or SDI triggers. • Includes slots for 2 hot pluggable batteries as well as 12V DC power input. • Full compatibility with editing software such as DaVinci Resolve, Final Cut Pro X, Avid and Premier Pro. • All in one design, mount to cameras, hold in your hand or set up on a table with the included kickstand. 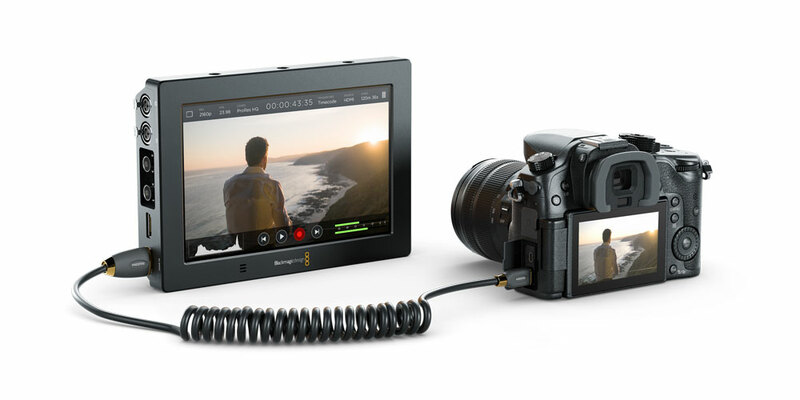 • Includes 6G-SDI input allowing it to be used as an Ultra HD monitor. • 7 inch LCD touch screen with 1920 x 1200 high resolution monitor. • Dual high speed UHS-II SDHC card recorders use readily available, inexpensive SD card media. • -128dBV electrical noise floor for high quality audio recording. 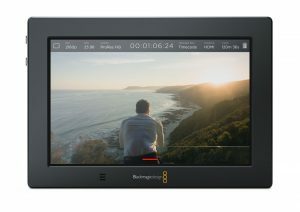 Blackmagic Video Assist 4K is available now for US$895 from Blackmagic Design resellers worldwide.